After a few years of road racing in competition I was tired looking constantly at my heartrate monitor, following training plans and searching the limits during (weekly) races. So I switched the page! No training plans, no belt to register my heartrate! Just my bike and me! A few days after my last race I went out for a ride and felt free. No more worries about numbers. This is it! Tomorrow I’ll do this again. And this weekend? Of course, another ride! No training plans, no belt to register my heartrate! Just my bike and me! This is not a “how to start with” article, it’s more about how I discovered what suits me best. As it is unsupported, it’s most of the time a question of become and adapt. Key thing is: What works for me won’t do it for you. 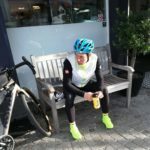 I increased the distances of my rides up to 350km, woke up early to start riding, rode through the night, … On the road I noticed I could help myself out when I had a mechanical issue, hungry? Enter a bakery or eat some pitta, McDonald’s is open until midnight. What about cycling 2 days in a row for about 300km? Hmm, why not!. But, how would my back react, my legs, my mind, will I have saddle sore?. Hold a minute … before I went out for 1 day and now I would have to find a place to sleep, charge my Garmin and lights. Where will I put all my stuff?. Too much questions!! So I took one step back and thought: become and adapt!. What I don’t take with me I wouldn’t miss. Mid-August I started a 620km trip in the Belgian Ardennes with 11000 altitude meters. It would lead my from the Ardennes through Luxembourg and by the German border back to the start. Ambition was to complete it in 2 days and then take the train back home. A night of 4 hours of sleep should do it. The second day went well. All my questions were answered. I was able to keep calm in a unforeseen circumstance and keep the morale high. As I was traveling pretty light I kept pace and could finish the track in approximately 40 hours. This was beyond my expectation so on to the next event! During the last months I met a lot of people who were already in bikepacking. By internet searches, stories, social rides etc. I got the best advice from them and wanted to use it in the Tuscany Road, an unsupported bikepacking race of almost 600km in the heart of Italy. In September my bike was ready, I had some food in my food pouch, a powerbank to recharge my Garmin, a good lighting set, clothing and spare tools in my saddle bag and tons of energy! 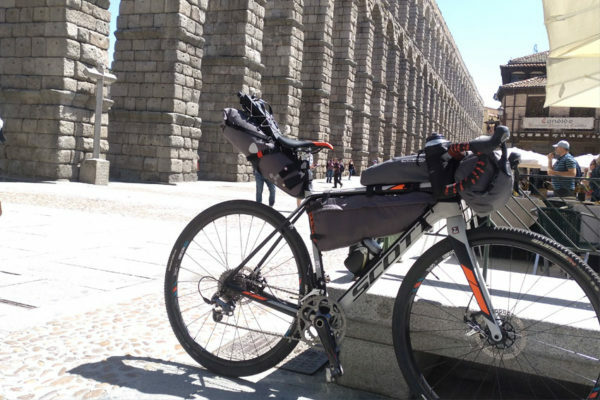 Tuscany Road, an unsupported bikepacking race of almost 600km in the heart of Italy. Together with 180 other brave riders I took off at 8am in Massa direction Capalbio. Our breakfast was a climb of 20km just after the start. The temperature rose up to 37 degrees so I choose to stop often to top up my bottles. Some sandwiches on the way, from time to time some fizzy drink and around midnight a lot of pizza. I wasn’t sleepy and with 215km I felt I was capable to do the track in 1 try. Lucky me … I didn’t take a sleeping bag with me to save weight. In less than 26 hours I completed the Tuscany Road. I had a great time but there is so much more to discover. Unsupported challenges rule! You decide where to stop, what to eat, how many k’s you are on the bike or how long you sleep. Because of this everyone has their own story and their own adventure even though the track is the same. My next adventure will be the TransOst Challenge in June. An 3000km offroad trip From Bayreuth in Germany to the Black Sea in Romania.